STEP OUTSIDE YOUR COMFORT ZONE THIS SUMMER!! Don’t let your confidence in public speaking become a barrier to you meeting your full potential. 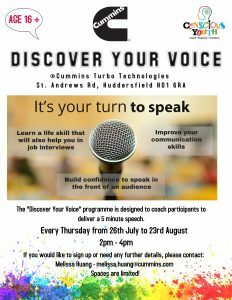 If you are aged 16 – 30 do not miss this fantastic opportunity to develop yourself….